Danish Jazz legend, producer and internationally acclaimed pianist Niels Lan Doky has teamed up with Claus Meyer, co-owner of the Michelin-starred noma restaurant, to launch The Standard, a new Jazz club in Copenhagen that includes two bars and three world-class restaurants. Officially opened on October 3, The Standard’s audio equipment list highlights another famous Danish name – DPA Microphones. "We have between 10 and 15 DPA microphones permanently in the venue and we will be hiring in more when larger ensembles are playing," says Niels Lan Doky, who is musical director of the new venue. "When our stage was completed in September we conducted a series of rehearsals and tests on site with the DPA team to determine exactly which microphones we needed. The list, which is exclusively DPA, includes various d:vote™ 4099 Instrument Microphones and a selection of d:dicate™ 4011 and 4006 Recording Microphones." As The Standard features vocalists as well as instrumentalists, Doky and his team have also invested in a new DPA d:facto™ Vocal Microphone that will be made available to every singer performing at the club. "We are very excited about this microphone, which is the perfect microphone for us," Doky says. "Our highly experienced house sound engineer, Jonas Nakel, tried it and was very impressed because it has the trademark qualities of DPA, coupled with the specific needs of a vocal mic." The choice of DPA Microphones reflects Doky’s philosophy that, at The Standard, it is the quality of the performance, the music that emanates from the stage, the sound of the room and the overall experience shared by the musicians and audience that matters, not the reputation or image of the artist performing. "We are aiming to capture the timeless values that define jazz and that the greatest artists in jazz have in common," Doky explains. "What counts is the quality of the music performed, so we will be working with incoming artists to help them prepare and enhance their shows in order to go beyond themselves and reach new levels of artistry. We also have a great sounding room with top level equipment and this is a very important part of the equation because although we are creating a classic jazz atmosphere, we are also ensuring that the room’s equipment and acoustics reflect professional recording studio standards so that we can give our audiences an exceptional sonic experience." Doky adds that choosing DPA was an easy decision for him to make as he already owns a selection of DPA 4011 and 4021 microphones that he uses for all his concerts and recordings. "I have never done a recording without a large selection of DPAs," he says. " They are the most transparent and precise microphones I know because what you put in is exactly what you get out at the other end of the chain. In the old days people didn't always appreciate this as they were used to hearing the transformed and sometimes aesthetically altered sound that many other microphones produced. However, in our increasingly technically sophisticated world, especially in the world of A/V production, it is very important to get as close as possible to a natural sound. I believe that was DPA’s vision from the start and I am glad that they have stubbornly stuck to it." Doky has an elegant touch when it comes to studio work and his recordings are renowned for their superior technical quality. His latest album, Scandinavian Standards, will be released on Parlophone to tie in with the opening of the new club, which will host an album launch party. "Like all my albums, Scandinavian Standards was recorded using DPA microphones," Doky says. "I play piano and, given how hard it is to record and amplify that instrument, I don't think the quality of my recordings would have been possible without the clarity and precision of my loyal travel companions, my DPA microphones." The opening of The Standard brings the worlds of gastronomy and music into close orbit and focuses attention on Copenhagen’s unique jazz history, which dates back to the 1950’s when many American ex-patriot jazz legends settled there. "We take deep pride in Copenhagen’s jazz legacy and we want to reflect it in The Standard’s creative choices and decisions whenever possible," Niels Lan Doky says. "We will be looking to bring in dynamic, vibrant and engaged jazz artists who know how to be daring and courageous without compromising integrity and quality." 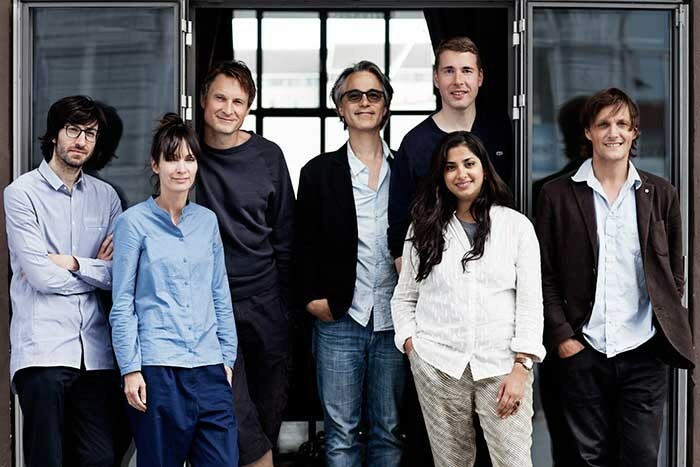 In picture: The Standard team.